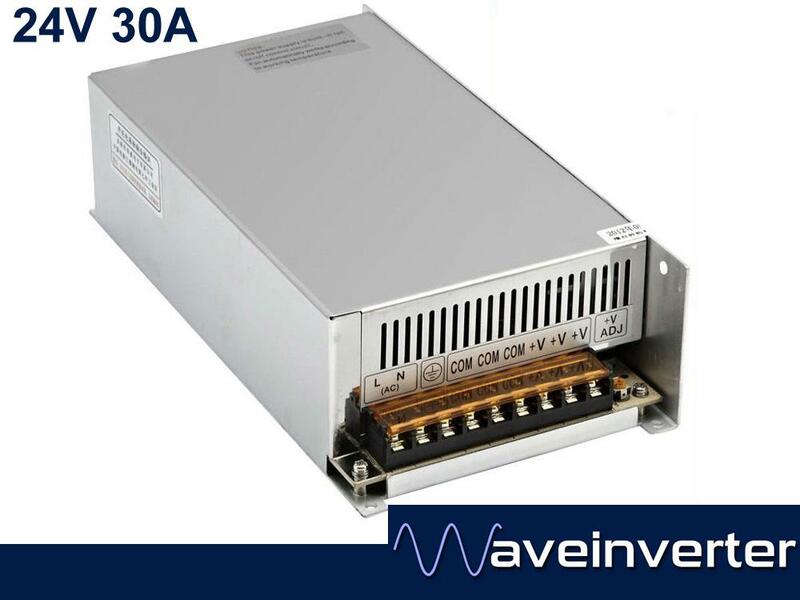 AC to 24v DC Switch Mode Power Supply 30A. Great for powering DC devices such as LED strip lighting and similar. This unit will power 3600 LED lights (0.2w per LED light in a strip usually). Do check our other listing for different sizes and our other electrical accessories.